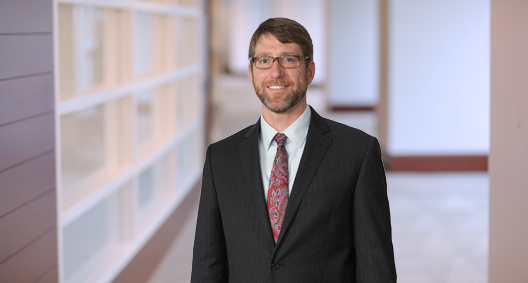 Cory Curtis litigates complex commercial cases in federal, state and administrative courts, as well as in private arbitration proceedings across the country. Cory often represents equipment manufacturers in distribution and franchise matters, product liability claims alleging catastrophic loss and wrongful death, and disputes involving contracts and business torts. When Cory advises on high-stakes litigation matters, he helps his clients to achieve both their legal and business objectives. Prevailed in seven-day administrative law trial before Texas State Office of Administrative Hearings for Class 8 truck manufacturer by showing manufacturer’s good cause to reduce dealer's AOR because of dealer’s poor sales and service performance and successfully defended case on appeal. Secured jury verdict and awarded attorney's fees and costs for drilling company client in case involving breach of the International Association of Drilling Contractor's form contract in the U.S. District Court for the District of Colorado. Prosecuted the drilling company's breach-of-contract case and defended against counterclaims involving allegations of rig-component product liability as well as unsafe drilling practices and OSHA violations. Prevailed in appeal before the United States Court of Appeals for the Sixth Circuit in a dealership termination dispute between an equipment manufacturer and an equipment dealer. The Sixth Circuit ruled in favor of the client that the dealer was not permitted to shield the federal case record from public access on concerns that publicity would harm the dealership. Rudd Equip. Co., Inc. v. John Deere Constr. & Forestry Co., 834 F.3d 589 (6th Cir. 2016). Secured jury verdict for publicly traded engineering and manufacturing company in the U.S. District Court for the District of Colorado by arguing that the client’s carbon steel boat steering cable design was not defective, and the jury should decide that issue using the risk-benefit test, not the consumer expectation test. Defended verdict on appeal. Kokins, et al. v. Teleflex Inc., 621 F.3d 1290 (10th Cir. 2010). Awarded summary judgment for component part supplier in a California federal court strict product liability and fraud case involving a failed microtunnel boring machine. Nada Pacific Corp. v. Power Engineering & Mfg., Ltd., 73 F. Supp. 3d 1206 (N.D. Cal. 2014). Awarded summary judgment in favor of an engineering client in case involving alleged storage silo failures by arguing the parties' contracts defeated claims for third-party beneficiary status and implied warranty in the U.S. District Court for the Eastern District of Pennsylvania. Lone Star Industries, Inc. v. Besser Company, Civ. Action No. 11-1481, 2013 WL (April 17, 2013, E.D. Pa.). After nearly a decade of litigation in New York state court, secured agreement to transfer venue to arbitration and later won defense award for manufacturer facing claims over a failed joint venture to sell equipment to factories in Greece. Awarded summary judgment for publicly traded engineering and manufacturing firm in catastrophic injury and quadriplegia products liability case in Maricopa County, Ariz., by defeating plaintiffs’ causation theory where plaintiffs sought more than $30 million in damages. Awarded summary judgment for equipment seller in a warranty case in New York County, New York, by arguing the Chinese buyers' claims were barred by the statute of limitations. The buyers were required to pay for the goods and the installation services the client provided in China. Led representation of a Mexican dairy products manufacturer in Texas litigation with American distributor. Secured dismissal of dealer's tortious interference claim in dealership termination matter by arguing that Michigan law precluded that claim where the parties had a dealer agreement. VIP Truck Center, LLC v. Volvo Trucks North America, Case No. 15-CV-12381, 2015 WL 7351998 (Nov. 20, 2015, E.D. Mich.).